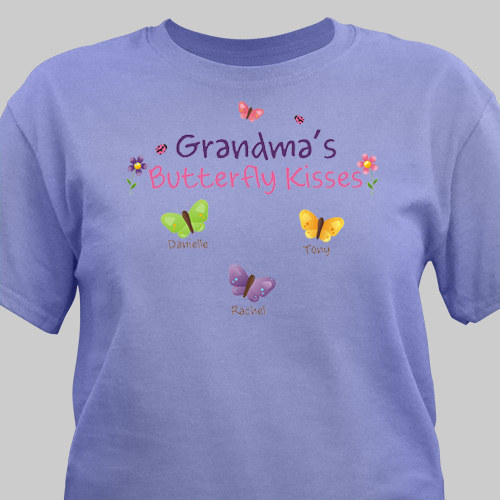 Gentle butterfly kisses will fill the hearts of Mom, Grandma, Nana or Granny every time she wears one of these beautifully Personalized Grandma Shirts. 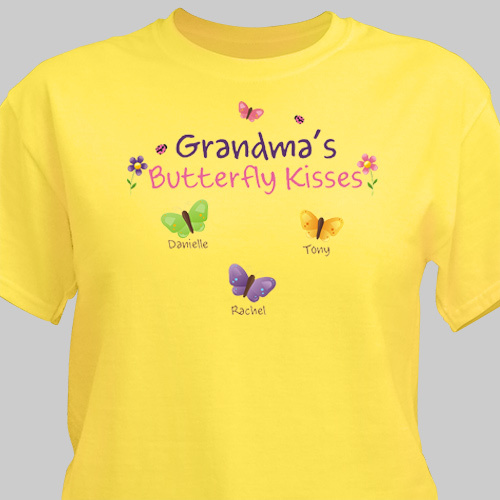 Personalize this t-shirt with any title and up to 30 names! 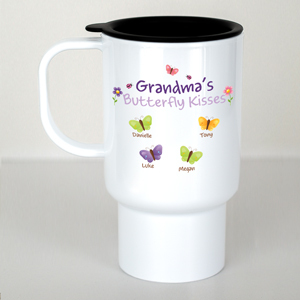 This shirt creates a wonderful gift for her to enjoy and you to give at a birthday party, Mother's Day, special anniversary or just because. I purchased this T-shirt for my Mom for mother's day. 19 grandchildren, names spelled correctly, a wonderful shirt for her to wear when we all get together.